Workman Publishing Company, 9781523502073, 12pp. Books babies can really sink their gums into! What green vegetable looks like a tree? Broccoli! Can you find a fruit that's small and yellow? Lemon! Can you pick out two berries so red and sweet? Raspberry and strawberry! Stephan Lomp has been writing and illustrating books with publishers in Germany, the UK, France, Spain, and the United States since 1996. He lives with his family in Düsseldorf, Germany. "While mom and dad might love the closeness of story time, they surely don't love the ripped pages that come from reading to a curious infant. 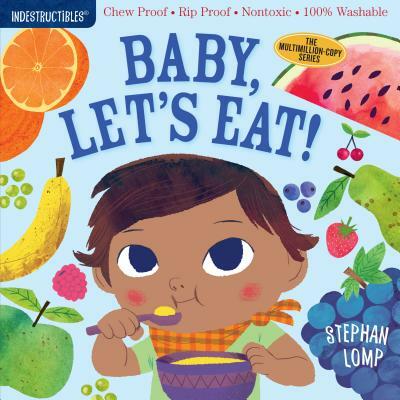 These tear-, bite-, and spit-proof books have the slimness of a paperback and the durability of a board book."